These prototypes were written when we weren't working on Ironseed or In Pursuit of Greed. Roughly made between '94 and '96. 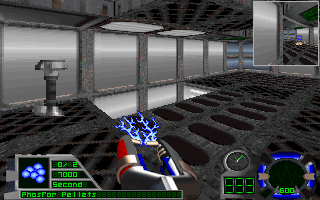 Frinj was a 3/4 view RPG similar to the later Ultimas. It was written in Pascal and Assembly. One of the cool features is a dynamic spell casting system. We called it the "Spell Compiler". I need to trademark that. 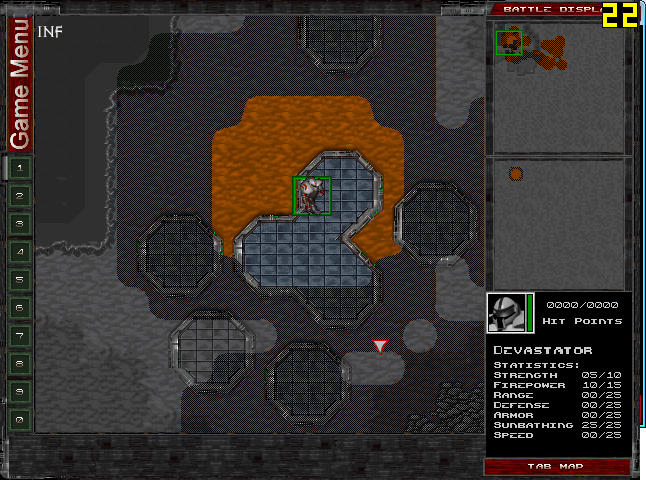 The player could learn new cantrips and merge them together in the Compiler to create new spells. 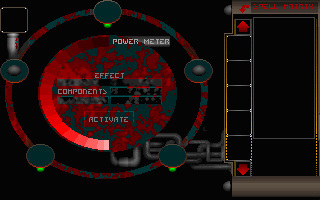 Another feature is the ability to "tweak" or "hack" the player's body, allowing them to become stronger in tech or in magic. Sorry I don't have better screenshots right now. 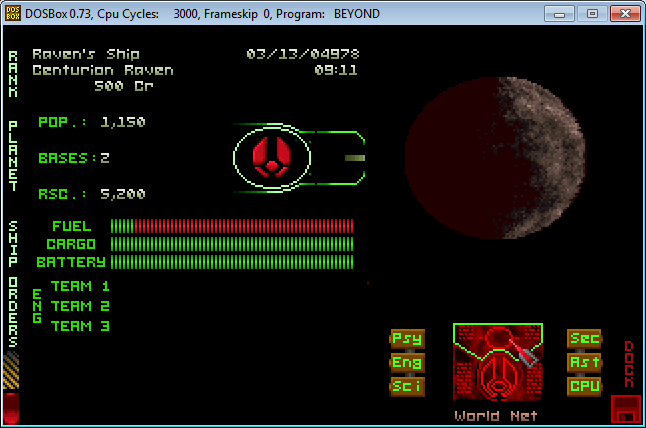 I'm having trouble regenerating the code and a data file. 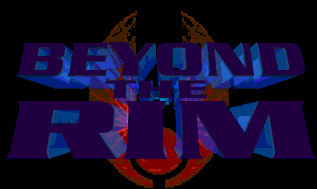 Beyond the Rim was a sequel to Ironseed. This was the first game I wrote in C. We did not quite finish it and switched to writing a 3D game instead as it seemed to be more profitable at the time. 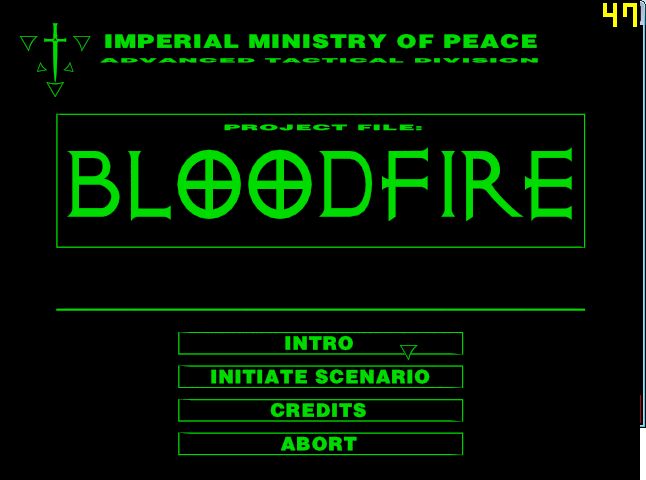 Bloodfire was our first attempt at a real-time strategy game. Unfortunately over time I've lost the original source code. It was written in C and Assembly. One interesting part of the program was it used packaged data files. I could write a script to package images and data into a single binary file. 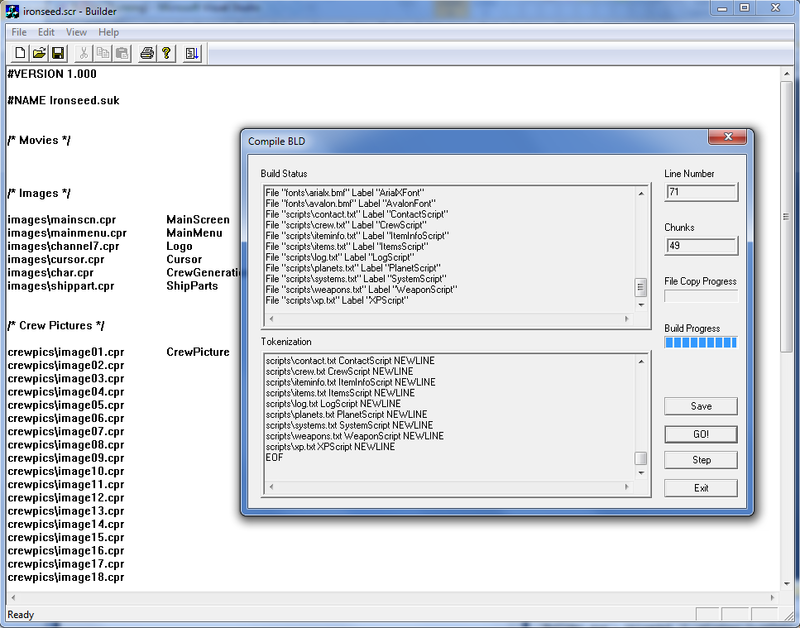 I later on made a Windows version of this tool using MFC. Beyond the Rim also used this packaging system. 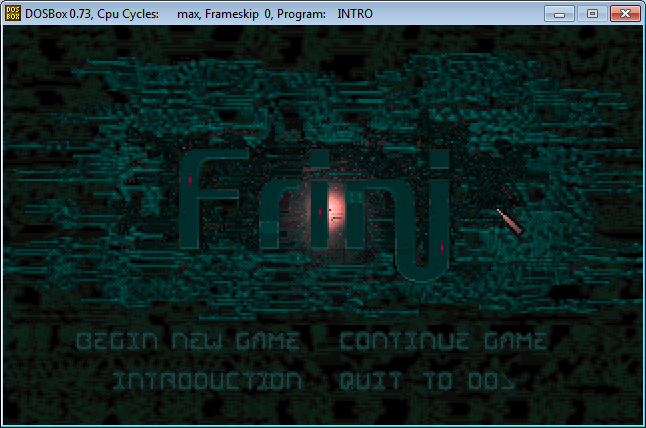 While working for Databeam, I rewrote portions of In Pursuit of Greed enough so that it could run in Windows. I then ported the networking portion to use the multi-player gaming toolkit we were developing. Instead of just 8 players, we were able to have dozens running around and shooting each other.